So as of recently, my Lucanus Elaphus larvae have been coming to the surface of the substrate and hanging out there, at first I thought it was because the substrate wasn't deep enough, but I filled all of the jars with 50/50 substrate each, 50% of it is substrate I bought from Peter Clausen and 50% is my oak substrate I made from oak pellets, I mist it every other day and my animal room stays at 80 degrees at all times. I have already had one death and I am afraid I will lose the others. 80 is pretty hot, and is the temp I was experiencing a ton of scarabaeidae larval deaths a couple years ago; the die-off rate dropped dramatically when I lowered the temp in the room to 75f, and I haven't lost a larvae at all since I lowered it to 70-72f. I can tell you that every now and then my thermostat will go wonky and my room will actually sit back at 75-76f, and if I happen to check my L elaphus during this time I'll find them crowded in the side of their container closest to the wall, where the sub is noticeably cooler. That's not the only thing that's changed though, so it may not be that at all. I've switched to filling my containers all the way to the top (zero air gap), and using many tiny pin holes rather than a few larger-diameter holes. This maintains humidity for me much better so I don't have to move/open containers to mist anymore, and I only bother my larvae once per month to weigh them and turn/moisten their sub as needed. This alone has probably reduced the stress on them quite a bit. These are just my observations, though, and I'm still a total noob, so take it all with a grain of salt. 80 F. is certainly not ideal. It may sound strange, but 80 indoors is not like 80 outdoors. Indoors, 80 is going to feel a noticeably hotter, especially if the level of air circulation is minimal. I would aim for keeping the room temperature at an average of 74-76 year-round for most species (whether temperate or tropical, with high altitude species being the exception, of course). As for elaphus - probably best to keep this species at an even lower temperature during the winter months - more like 68-70, if possible. Certainly, in the wild, they experience far colder conditions than that. Also, be sure to add a several cm thick layer of compressed, moistened clay soil to the bottom of their containers, as in nature, this is what this species builds its pupal cells in. They will sometimes build cells using organic substrate, but they prefer not to, and will often hesitate for a long time before doing so, crawling around at the surface for weeks or even months. This drains the stored energy that they need to pupate. It's been my experience that if the larvae of elaphus hesitate to build cells for too long after reaching full growth, they often fail to pupate properly, or never even make cells at all. Same situation with Chrysina spp. - they need a clay layer added to their containers when they have reached full growth. 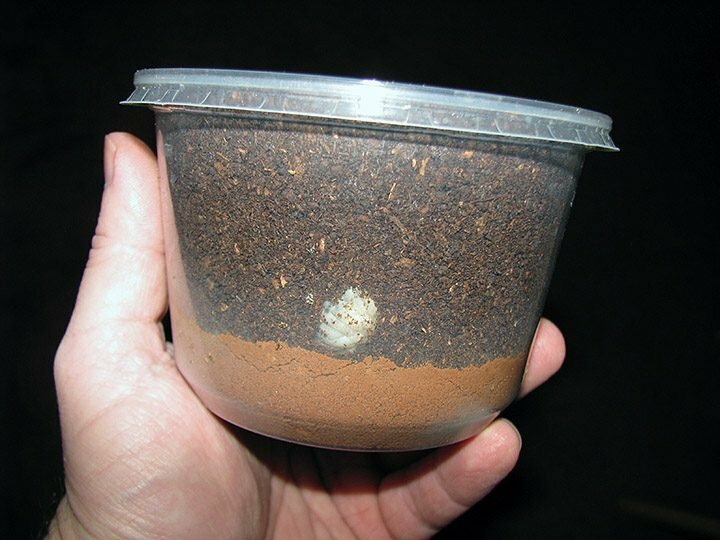 Also, be sure to add a several cm thick layer of compressed, moistened clay soil to the bottom of their containers, as in nature, this is what this species builds its pupal cells in. This is good to know. I was unaware of this. I've actually been meaning to ask you, @Goliathus, where does one get clay soil like that? I've checked local Home Depot/Lowe's but I'm not finding any (though, I may just not know what to look for). 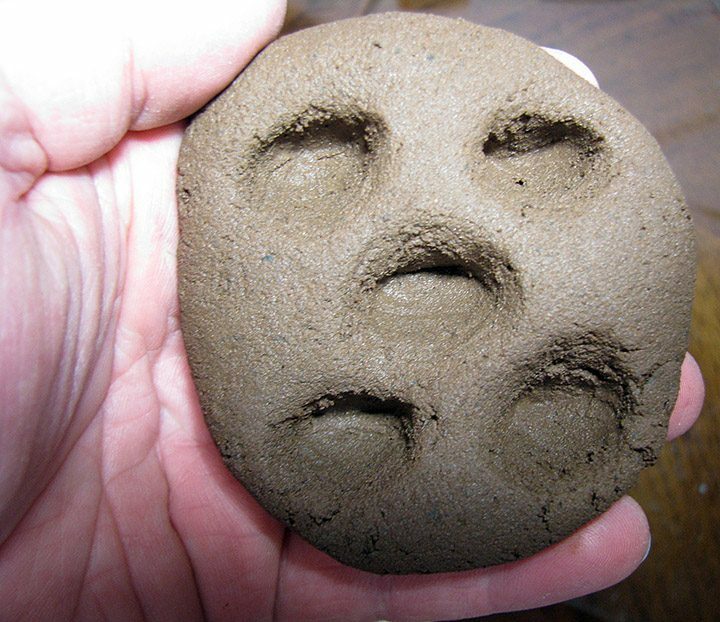 I don't know about the commercial availability of such, but you should be able to collect a suitable type of "clayey" soil in virtually any part of the US, and so long as it's very fine-grained, and can be made somewhat sticky with right amount of water, it should work fine. The ultisols common to the southeast (which are typically red or yellow due to various concentrations of iron oxides) work well, but any soil type that has a high percentage of clay should be ok. I use some locally-collected, reddish-brown clay soil which I suspect is probably a vertisol. I believe it's not so much the pH of the soil that matters, but the texture and how "sticky" and easily workable it is by the larvae. From what I've heard, elaphus doesn't typically deposit eggs directly into wood, but instead lays them in the soil right next to suitable wood, which the larvae then chew into. To make matters more complicated, it apparently also needs to be soil of a certain type and consistency (clayey, I believe). A recent study on Lucanus cervus in Britain revealed that the distribution of this species correlates directly with the distribution of a particular soil type, rather than the beetle's host trees. Even if there are TONS of dead, rotten oaks in an area, the beetles will be absent if the local soil is of the wrong type. I feel like an idiot for forgetting... but Zoo Med has an almost entirely clay substrate called Excavator meant for burrowing reptiles and arachnids. I'm sure this would serve the purpose beautifully. Sweet Jesus no. I've used this stuff, it is absolutely not suitable for larvae to pupate in. You add water, mold it to make whatever burrows you want, and it hardens into what is essentially rock as it dries. I'm not exactly sure what would happen if you kept it moist, but even wet it was nothing like the sort of malleable clay substrate that would be appropriate for a pupal cell. Well frass. That's really the only thing I could even get my hands on here. I called all of our nurseries and even our desert landscaping places and no one has clay available. Our normally occuring soil here is caliche, which is practically cement. Well, if you really need some natural clay soil for certain types of beetles to build pupal cells in, and there simply isn't anything suitable that occurs naturally in your local area, you can always just buy some - LINK. It's things like this that make me love this forum. I would've never thought to search for clay soil of all things on eBay.